On a day of upsets, after Germany were humbled by Mexico in group F, Brazil failed to overcome a tenacious Switzerland side who responded brilliantly after going a goal down in the opening quarter of the game to a wonder strike from Phillipe Coutinho. Instead of wilting under the pressure of performing on the biggest stage, the Swiss managed to get a foothold in the match and slowly made their way back to parity, in one of their finest performances in the competition's history. After Serbia had won their game against Costa Rica, Brazil were expected to go above them into top spot in Group E but were held to a draw in their opening fixture of the WC 2018. #5 Brazil's first goal in the World Cup is an absolute stunner! Coutinho with an absolute stunner! This World Cup has given us everything we could've asked for and more, and we're not even done with the first round of matches yet! Brazil are firm favourites in the eyes of the world as they have a wealth of talent in their side, each of whom seems to be hitting the straps in their careers at the best possible time. The legend of Neymar Jr. is growing stronger with each passing season. He has rightly been dubbed the 'Golden Boy' of Brazil. On the night though, it was another Brazilian who has slowly been making a name for himself as one of the best in the business: Phillipe Coutinho, stole the limelight and he showed us exactly why he is considered as such. A stunning strike from the edge of the box, curling the ball beyond the far post before bringing it back in. In it went off the woodwork. 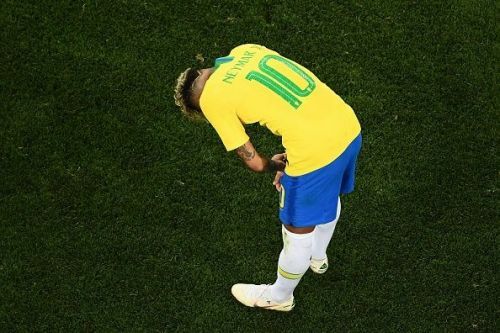 We shouldn't be surprised considering he has done it repeatedly not for his club sides, but we're certain this one tasted just that little bit sweeter, coming in the World Cup opener for Brazil.